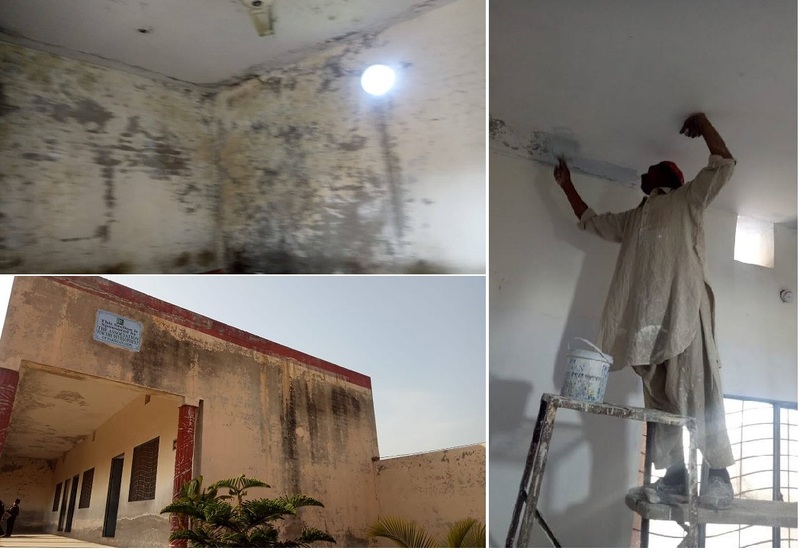 Paint work: – The walls were badly rusted as it has been good few years since the whole school was painted. Paint job has been started and mostly inside walls and rooms are painted by now. 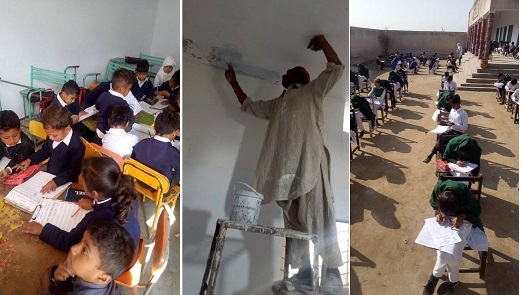 There were some delays to paint outer walls because of the rainy season in Pakistan. Repairs: – Some repairs were carried out to fix the damage done to the roof top of a class room due to the rain’s Water lodge. 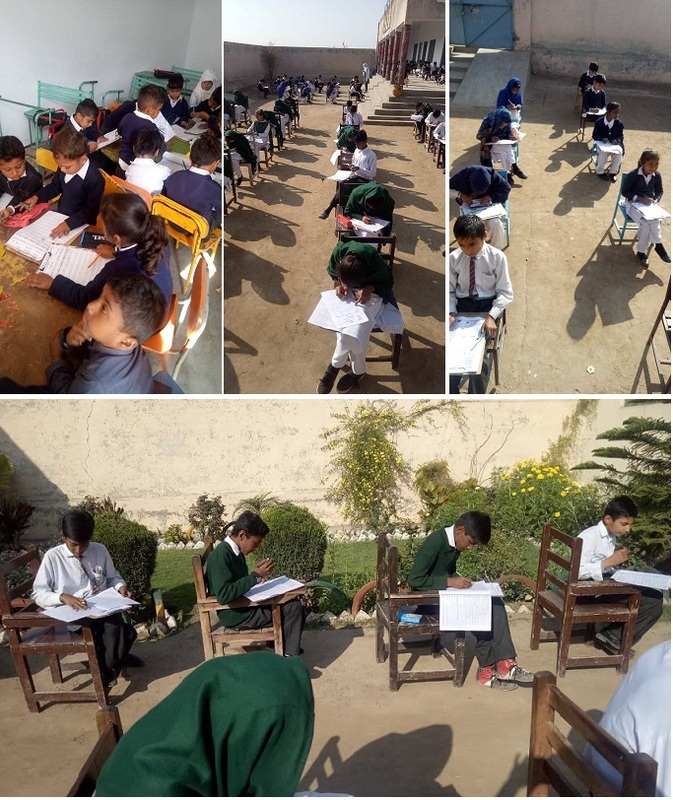 Annual Exams: – Annual Exams started in the school, the question papers were designed and prepared from outside of the school. The marking of the exams is also done by outside vendors. This approach helps us to measure the results quality more fairly. 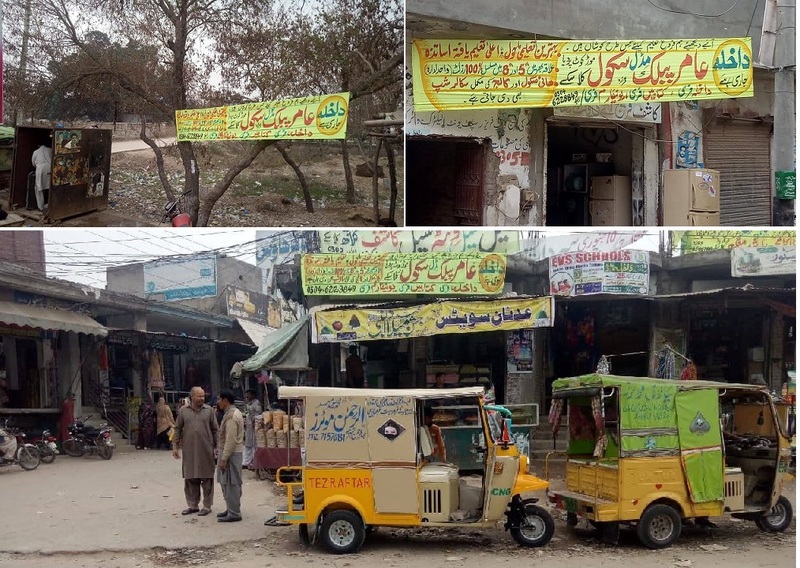 Appeal for Uniforms and books: – The Free provision of uniforms and syllabus are our annual deliverable, we have been delivering successfully since Year 2008. Books distribution starts with the next session start up every year in 1st week of April. 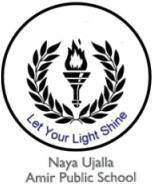 This year, the estimate given to purchase the books is 115K PKR. We are still waiting for Uniforms Estimates.